If you’re raising vegetarian kids, you’re probably very familiar with the struggle of coming up with healthy vegetarian school lunch ideas. My daughter’s school has nutrition requirements–every lunch needs a protein, a whole grain, and two servings of produce–and that combined with her tendency to be a bit picky can make packing lunches kind of stressful. When she first started school, I felt like every day I needed to build a perfect, elaborate, made-from-scratch bento lunch. That lasted for a few weeks and then I got real: my strategy now is to rely upon some store-bought products for speed and ease, pre-washed and cut produce in the fridge, and homemade options that I know my daughter will actually eat. 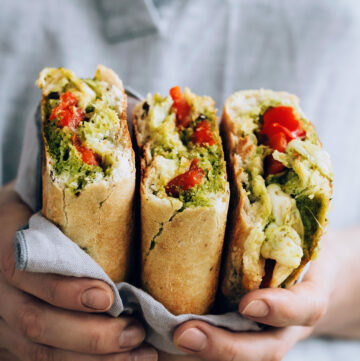 When it comes to the lunchbox, I’ve found that the best thing to do is think outside of the box–I mean, not literally, but unless you want your kiddo to subsist entirely on cheese sandwiches and PB&Js, you’re going to have to get a little creative. Luckily, creative can still be easy, especially if you can put in some prep work in advance. 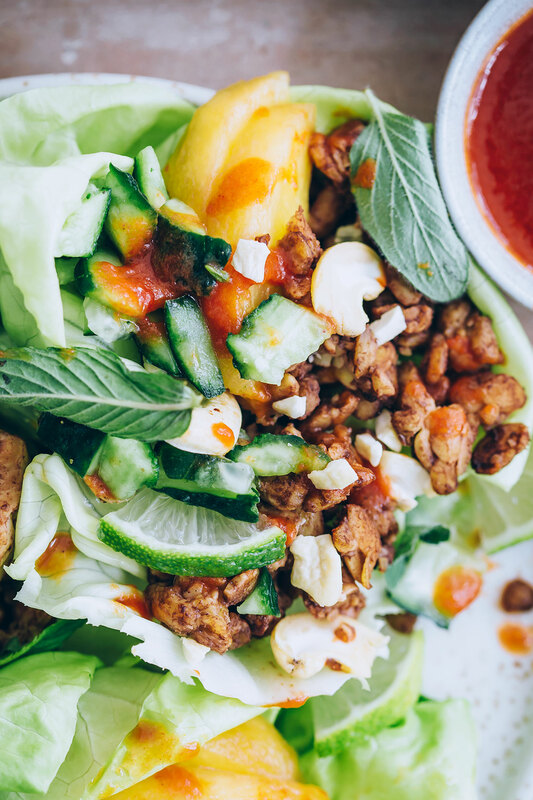 A bento box (the one I use is here) is perfect for packing assemble-your-own lettuce wraps. 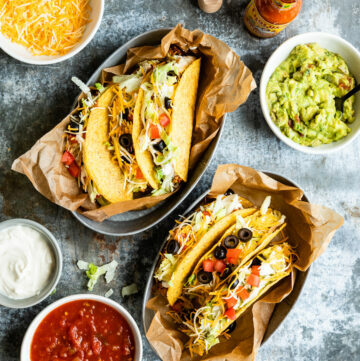 My daughter loves the tempeh filling in this recipe, but if your kiddos aren’t sold on tempeh, try your favorite meatless taco filling or bean salad. Involving kids in the cooking process is always a good way to get them interested in eating the end product and sushi is super fun to make together–and it’ll last in the fridge for a few days so you can make it as an after school project. If you’re not great at wrapping and rolling, try making inari, which is pretty kid-friendly because of its sweetness and easy enough for even toddlers to help assemble. I often use dips as a protein in school lunches–if there’s not much protein elsewhere in the lunch, I’ll sprinkle some hemp seeds onto the dip as a topping too. 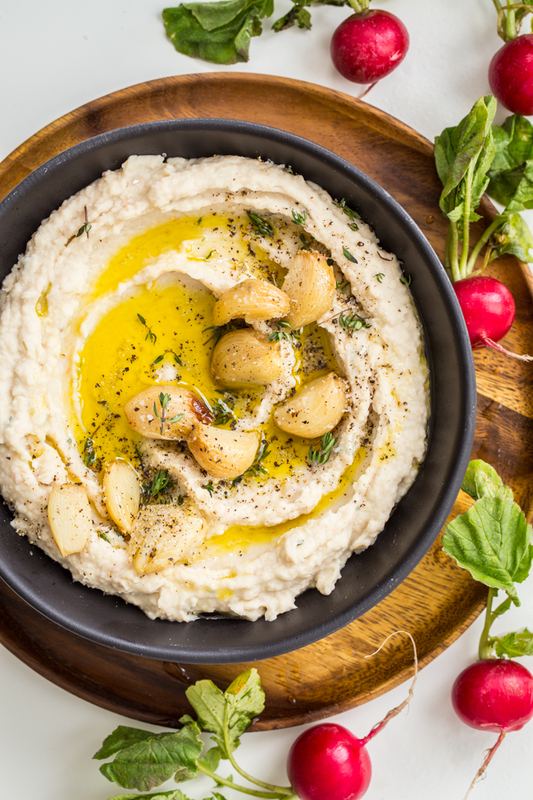 Carrot sticks, snap peas, and cucumbers cut into spears are all fantastic with this creamy white bean dip. Falafel served with tahini or hummus is another of my school lunch staples. 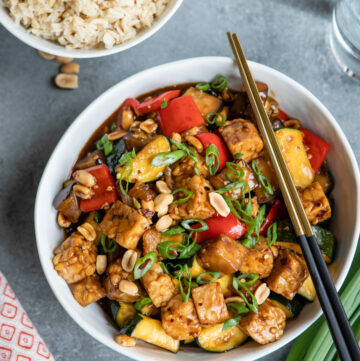 It’s easy to make in advance and freeze for later (try this recipe), although in all honesty, I often buy it pre-made from a local restaurant to save on time! Meatballs are another lunch option that can be made and frozen, which is always a win. 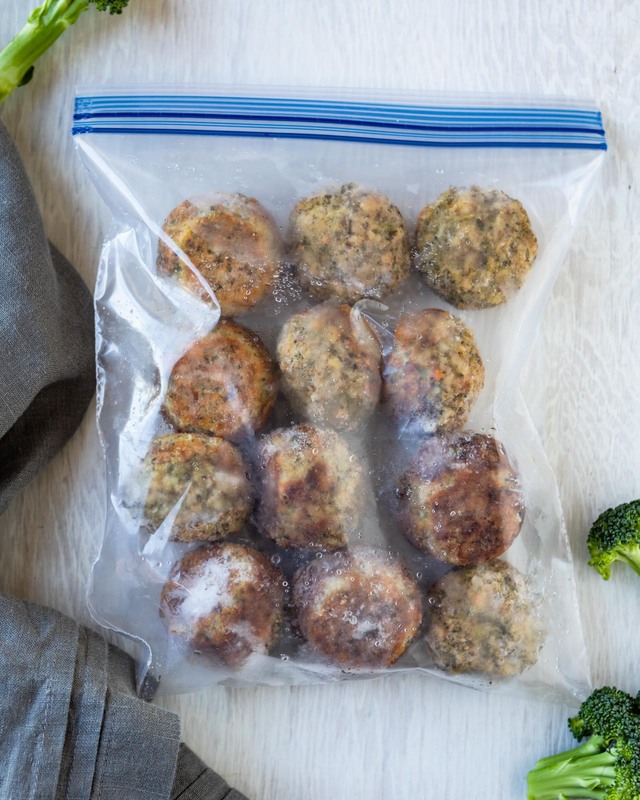 If nut allergies aren’t an issue, try these Almond-Broccoli Meatballs; otherwise, this Lentil-Oat Meatball recipe is always a hit. Serve them with a container of marinara for dipping. 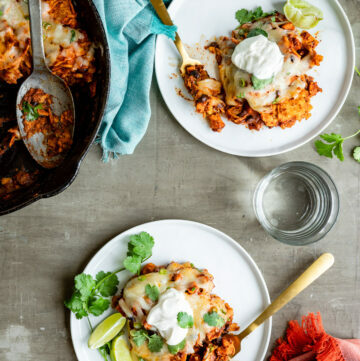 Quesadillas might seem totally weird for a vegetarian school lunch, but they work! If I’m making quesadillas for dinner, I’ll make an extra for my daughter’s lunch. Her favorite is a combination of pepper jack and black beans with salsa for dipping. 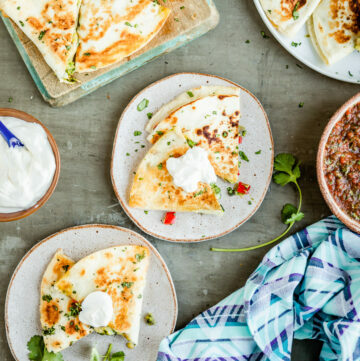 To sneak in some more vegetables, this quesadilla recipe is made with a combination of cheddar and pumpkin puree. When I was a kid, I thought pizza Lunchables were the best thing in the world. 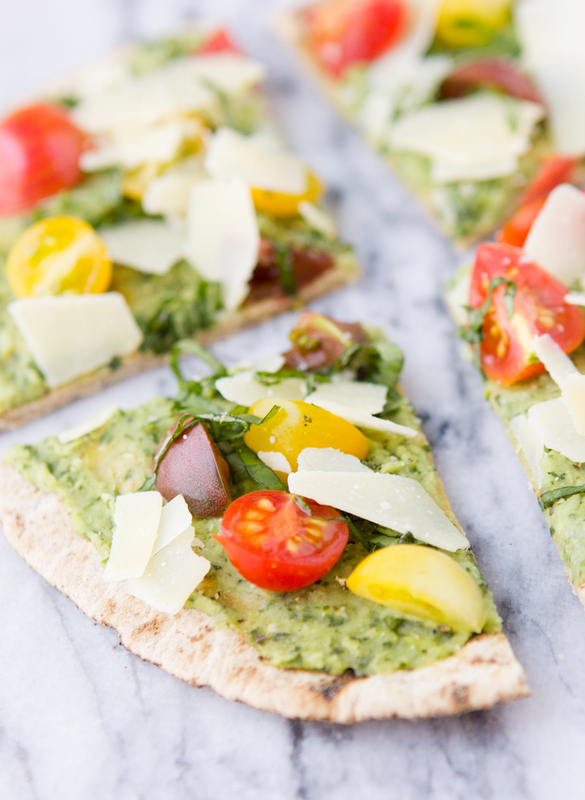 You can give that idea an upgrade by using a whole wheat pita as the base; hummus or bean dip instead of pizza sauce keeps the pita from getting too soggy, then you can top with whatever vegetables your child is willing to eat, like this. Whenever I make pasta, I always make a little extra for school lunches. And because I usually use Banza pasta, it’s a source of protein too. This Lemon Pepper Parmesan Orecchiette recipe travels well, or try these cold peanut noodles–they can be made with sunflower butter instead of peanut butter. Or just toss the pasta with a little oil, parm, and halved grape tomatoes. Easy! Chia pudding is a fantastic source of healthy fats and protein. 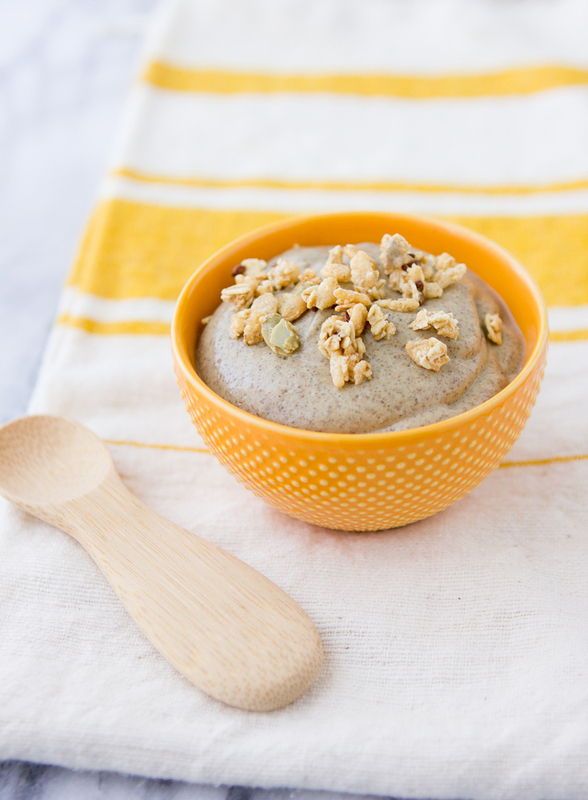 The texture can be a deal-breaker for some kids, but no worries: with a high-speed blender, you can whip chia pudding into something smooth and creamy. I include a little container of granola or dried fruit so my daughter can make herself a parfait. Not many kids are into lettuce-based salads, but that doesn’t mean salads are off the menu entirely. Bean or chickpea salads can often be thrown together without a recipe and most kids love beans. Sweet salads that combine fruit with vegetables are an easier sell than lettuce too–this one is made with cucumbers and watermelon. Kidfresh Potato ‘n Cauliflower Tots // I keep a variety of tots and veggie nuggets in the freezer for snacks, and I’ll occasionally put them in lunches too–you’ll want to bake them first the night before, then refrigerate them overnight. (Warm food sitting in a lunchbox for hours is not the best idea for food safety!) Serve the cold tots with a little container of dipping sauce. Freedom Foods Barley+ Muesli // My daughter loves yogurt parfaits, so sometimes I give her the ingredients to assemble her own at school–I like this muesli because it’s made with barley, a grain she otherwise doesn’t get much of in her diet. Simply 7 Quinoa Chips // Kids love chips, but these actually have nutritional value. (Hooray!) The Cheddar and Barbecue flavors are both kid-approved; I usually pair the plain ones with hummus or bean dip for dipping. NuturMe Veggie + Fruit Yum-A-Roos // While this is a toddler snack, I like that it’s not just fruit but vegetables too; they’re another topping my daughter uses for yogurts and chia pudding. Bare Crunchy Carrot Chips // Bare makes crispy carrot, beet, and sweet potato chips–they’re baked, not fried, but they’re still super crunchy. These are a favorite paired with homemade Greek yogurt ranch dip. B. Nutty Blissful Blueberry Peanut Butter // When we were in a classroom without any food allergies, peanut butter with apple slices for dipping was one of my go-tos for lunch. And this peanut butter is amazing, with real blueberries added! gimMe Organic Seaweed Thins // Seaweed?! Yes! Seaweed is a hit with my kiddo’s entire preschool class–we had a picnic earlier this summer and one family brought a package of seaweed to share and it was the most popular item on the table. These thins are our favorite. Simple Mills Farmhouse Cheddar Crackers // Other cheese crackers are tasty, but not exactly healthy–or naturally colored, for that matter. (Cheese is never meant to be neon orange!) These are a much better alternative. Tofurky Deli Slices // Sometimes I envy non-veg moms who can just whip up a ham-and-cheese sandwich for their kids’ lunches. And on those days, I break out the Tofurky slices. Sometimes I put them in a sandwich, but my daughter also likes them rolled up on their own. UNREAL Dark Chocolate Crispy Quinoa Gems // When I was a kid, I got a Ding-Dong or brownie in every lunch. Times have changed, right?! Treats are still nice once in a while and UNREAL is a brand that I feel good about. Also: quinoa! Bobo’s Toast’r Pastries // Another favorite of mine when I was a kid? Cold pop-tarts in my lunch. But these pastries aren’t just healthier, they taste miles better too. Once Upon a Farm Super Smoothies // These little pouches are the best way to bring smoothies to school. (Bonus: the smoothies have vegetables in them too. Yes!) We’re also big fans of Once Upon a Farm applesauce. Dang Sticky Rice Chips // My kid won’t touch rice cakes, no matter how many times I tried to make it happen, but these rice chips? Totally a game-changer. The seaweed variety is her fave. Annie’s Homegrown Fruit Tape // Yes, yet another healthier version of a snack I loved as a child of the 80s. Is it weird that I especially love the way these smell? Canyon Bakehouse Gluten-Free Blueberry Bagels // We’re not gluten-free, but I try to make sure we’re mixing things up in the grain department and not only eating wheat. Gluten-free bagels can be a hard sell, but these are legitimately delicious.